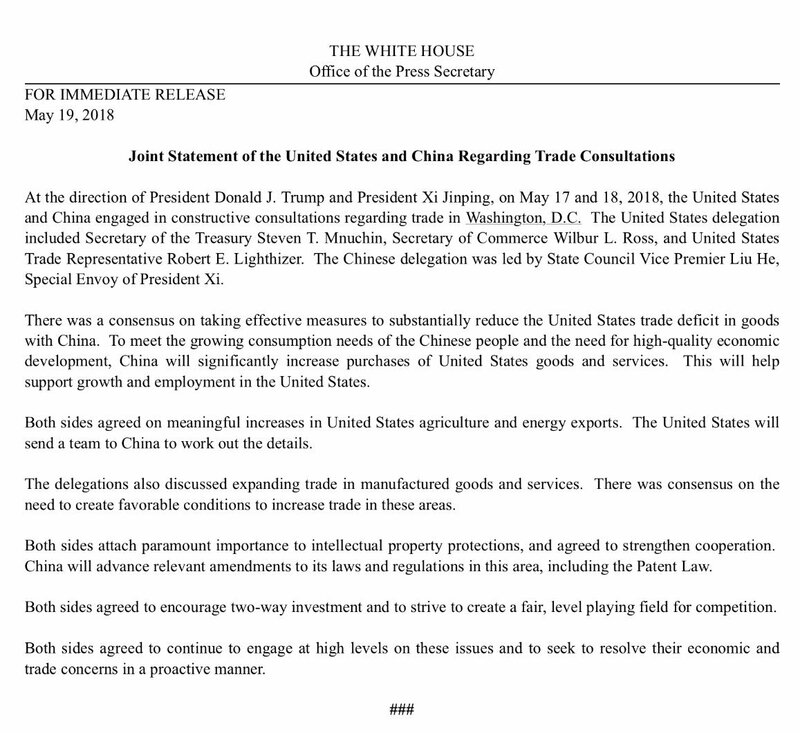 The United States and China have issued a joint statement that the two countries have agreed to work towards reducing trade imbalances. In what will be seen as another victory for the President in his “take no prisoners” foreign policy, the two countries agreed to resolve differences on trade policy. 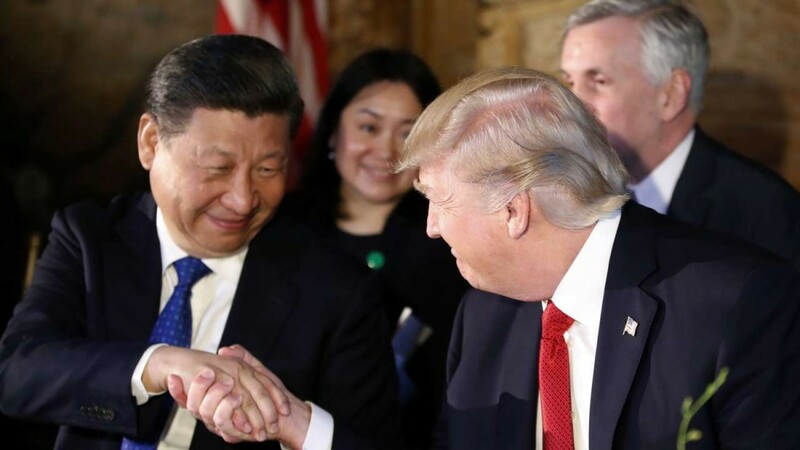 President Trump has made a point of going after China for what he views are the ways that the Chinese take advantage of the United States in the form of trade. In recent months, the two countries have been at odds on a number of trade issues, ranging from intellectual property infringement, national security, and tariffs that China puts on specific industries that it views as competitive to it’s domestic manufacturing interests. The U.S. Government has also been concerned about Chinese electronic manufacturers using tech components to spy on American citizens and strategic interests. In the release that was issued on May 19th, the two American industries that got specific mention were the energy and agriculture sectors. In both these sectors, the Americans have a lot of advantages over other nations, with favorable resource access, modern farming and fracking infrastructure, and advanced processes to exploit the commodities. China, which is known to spend trillions of dollars propping up it’s own economy and driving demand of products, can move the needle for U.S. domestic manufacturers. Manufacturing and services got a soft mention, but the expectation is that China will fight to protect these industries from outsiders far more than tradable commodities. In recent years, China has been investing in services and more sophisticated manufacturing- following a model of development that was perfected by the Japanese and Koreans- start with low value, low skill manufacturing and basic services and over time develop far greater expertise and resources to compete against the world’s largest brands. If global trade tensions do cool, this is a bullish sign for the U.S. freight industry, as it could change how freight flows across the U.S. It has the potential to increase the amount of West bound truck and container traffic, helping to balance the lanes and could bring a multiplier effect to freight demand in the domestic market. In recent years, Chinese consumers have become one of the largest driver's of global trade, as the country develops the largest middle class in the world. In fact, by 2022, 76% of the Chinese population is expected to be middle class, up front just 4% in 2000. This will mean that the new generation of Chinese consumers will demand more goods from Western brands.